News from the cold land. We have been extremely happy to celebrate our first Halloween and Dia de los Muertos in the San Diego North County! 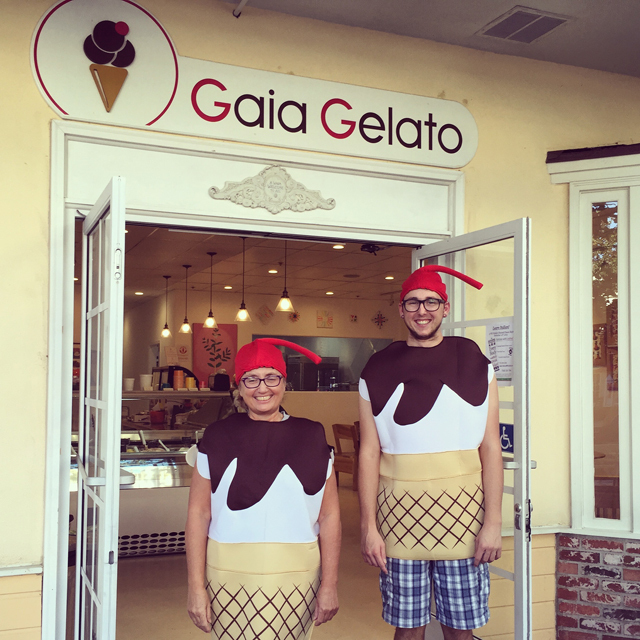 Please take a look at the gallery of our day filled with costumes and gelato. For Dia de los Muertos we were part of one the Coolest Party in San Diego organized by Yelp. Hundreds of people were able to grab a mini cone to taste our Chocolate & Churros, Flan de Vanilla and Lime and Mint Sorbet. What a beautiful surprise to be featured in the San Diego Union Tribune by fabulous journalist Pam Kragen! A cosmic thanks to all those who came in support. Very grateful to Carslbad and the San Diego County, we couldn't feel more welcome. 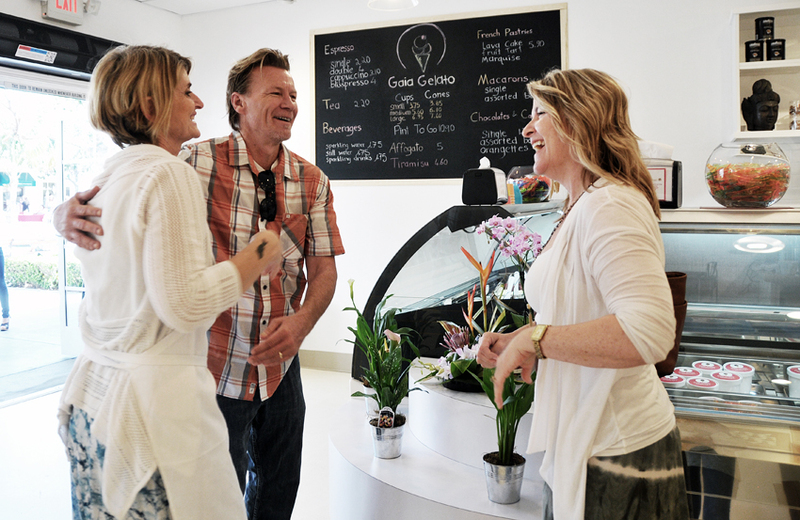 Now including Mondays, never ending gelato days: starting on Memorial Week End we will be open 7 days a week!!! Memorial week end hours are 11-10pm, keep it sweet! Oh yes we cut it! A beautiful Red Ribbon and gigantic scissors were provided by the Carlsbad Chamber of Commerce and we made it: we are officially open and ready to celebrate tomorrow with our beautiful new community. OOOoooohhhh what a day! Look what the cat just brought in the gelateria: watch the monster delivery of our beautiful gelato display. A long trip all the way from Italy to the heart of the San Diego North County, at Village Faire in Carlsbad, CA. Getting close to our opening in FEBRUARY 2015. Almost everything is homemade in our store, including furniture! Our friend Emanuele (http://emanuelescoppola.net/) came all the way from Italy to help us setting up Gaia Gelato. Please re-use, re-cycle and save. We need energy, water, air and good food in this world. We make our best to live, buy and produce in a sustainable way. Recycle plastic and containers you use in this store. Buy local, natural (and possibly organic) food. Use a water bottle to drink and save plastic. Don’t consume more than you need.